There is something about summer that makes schedules and deadlines impossible to keep. So I completely understand when I hear another blogger take a month off during the summer, or post less, or something along those lines. And today I will have to follow suit a little bit. 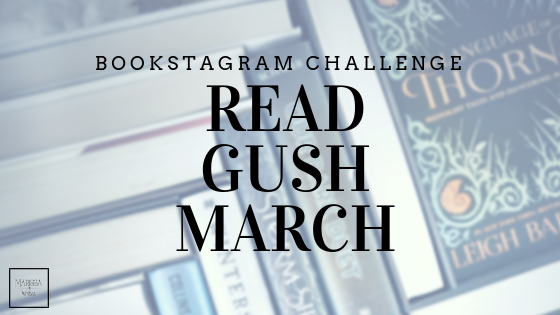 I have decided to share a post from last year that was a huge hit (mostly because I simply didn't have the time to write the post I wanted to for today!). For those of you who have already read this one, please forgive my repeat. For those of you who are a little newer to Reading List, I hope this oldie is acceptable for today. 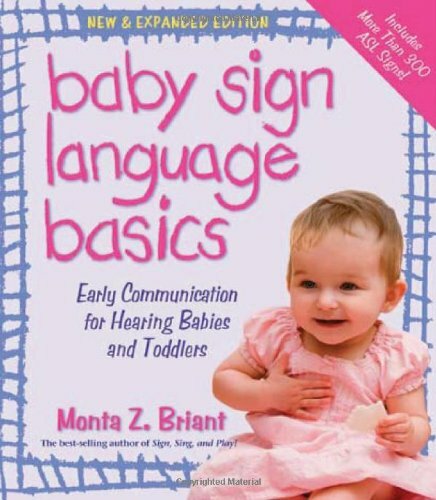 After asking a librarian for a suggestion I landed on Baby Sign Language Basics. It was a great choice. We got started right away. Yep just jumped right into the deep end, so to speak. Mostly because at least sixty percent of this book is a picture guide to many baby signs. Anyway, back to the book. This book was a great introduction book for us. Briant does a great job of getting to the point of each chapter, because really the objective is to start signing with your baby and communicating, which doesn't happen if you are reading and reading and reading (to yourself that is). Briant explains why she decided to teach her babies American Sign Language, and then reassures the reader that you don't have to become fluent in this language to teach your baby. Briant makes the point that as parents teaching our babies sign language we only need to know enough to communicate on the baby's level. So start with just 6 - 10 signs (her suggestion) that you can use daily with the routine you have already established. Then add as you feel comfortable. The biggest point is to make sure you use sign language as often and regularly as possible. Which makes sense right? The words you speak the most are the most likely to be in your child's vocabulary first. With that in mind I started signing before I finished reading the book! I started with mommy, daddy, eat, more and drink. We soon added milk, dog, cat, ball, play and dance. I choose these because they are the things my little guy seems most interested, which Briant refers to as motivating signs. She suggests that these signs are the ones that will grab your child's attention and get him (or her) signing quickly. That made sense to me, so I added in play, ball and dance as quick as I could. This book was a nice starter because the chapters were super quick reads, which let's face it, is a must when you have a baby to take care of! Plus her writing style was very conversational, and for me, that was great. After about three week of signing as regularly as I could (which was usually just a meal times) I started to feel a little discouraged. My nine month old would look and me and watch my signs, but that was it. Then one day the phone rang during lunch, and while I was on the phone he signed "more"! I was thrilled, he got it! I started to realize that I was just not giving him a chance to sign his response - which is actually something Briant addresses (Over anticipating Baby's needs). I realize teaching your baby to sign is not on everyone's to-do list. But I'm enjoying it. We have started having times each day where we get out toys or some picture books and just practice the signs, mostly for me to learn more. But both of my boys really enjoy this play time, so that's good! Some other books we are using to add to our vocabulary of signs include: The Parents' Guide to Baby Signs, The Everything Baby Sign Language Book, Baby Sign Language, and Signing for Kids. Do you sign with your baby? Did it make a big deal with your ability to communicate with them earlier? Do you have a favorite signing book? Let me hear your tips and thoughts! 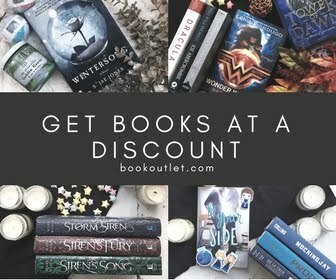 If these books sound like something you want to add to your resource library, please consider using my affiliate links below and support Reading List as you grow your library. Thank you!